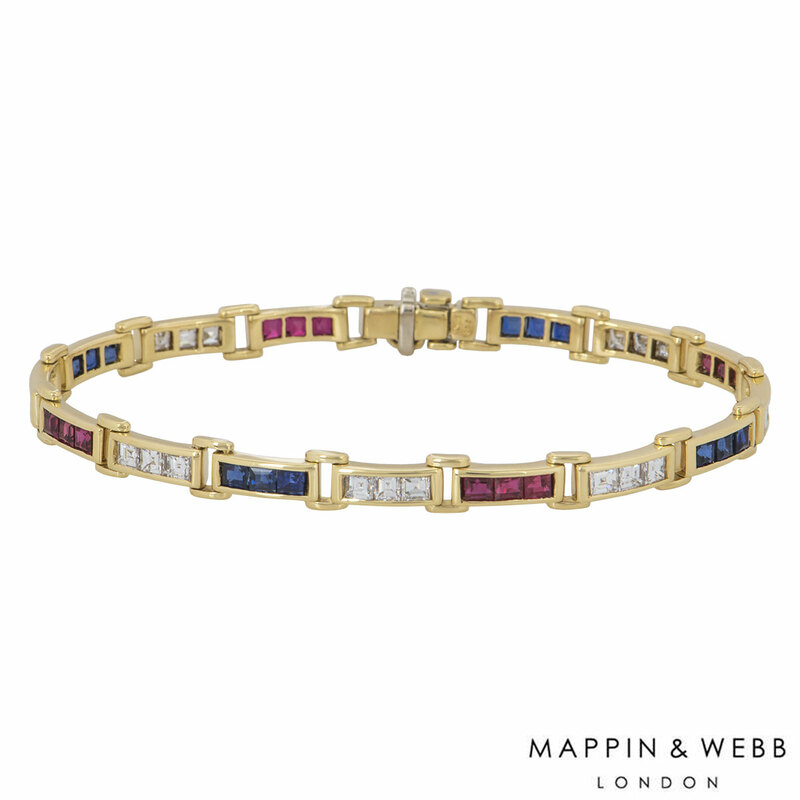 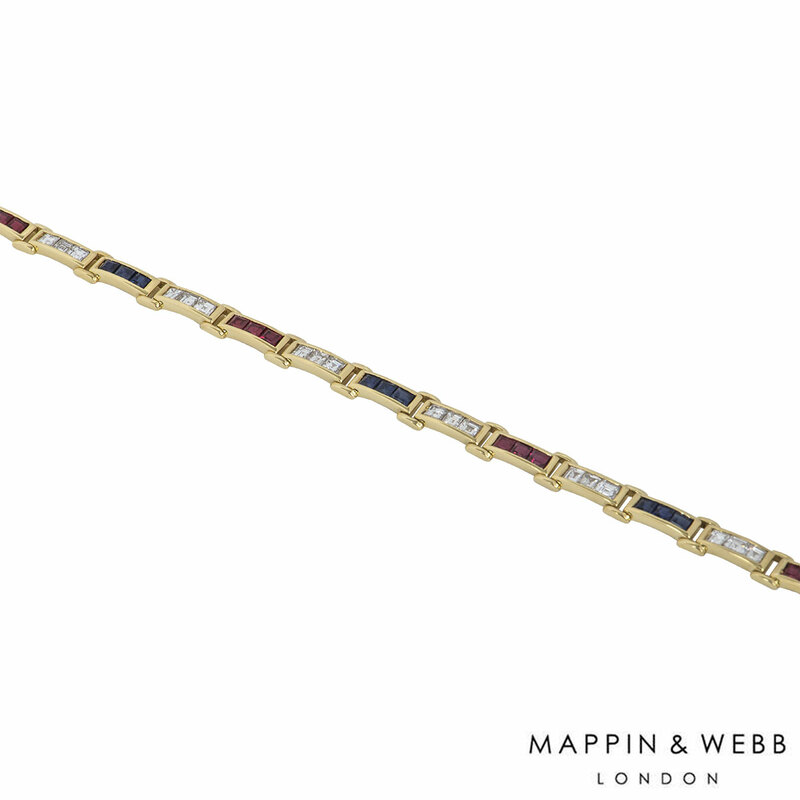 An 18k yellow gold diamond and multi-gem bracelet by Mappin & Webb. 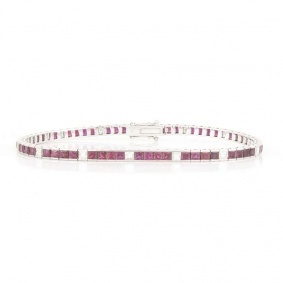 The bracelet comprises of diamonds, sapphires and rubies alternating with each other in rows of three. 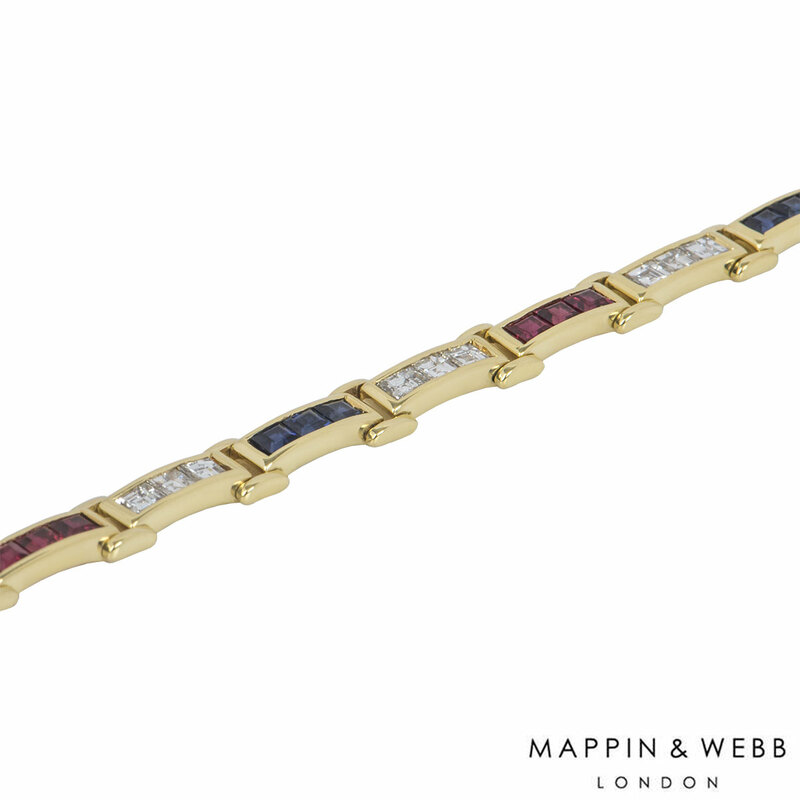 The bracelet features 24 princess cut diamonds, 12 sapphires and rubies square cut alternating in size. 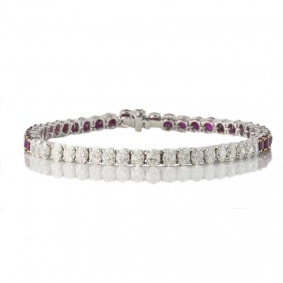 The sapphires have an approximate weight of 0.98ct, the rubies have an approximate weight of 1.02ct and the diamonds have an approximate weight of 2.04ct. 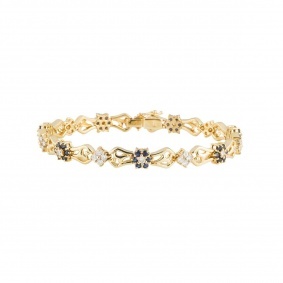 The bracelet has a length of 7.2 inches and has a gross weight of 16.50 grams. 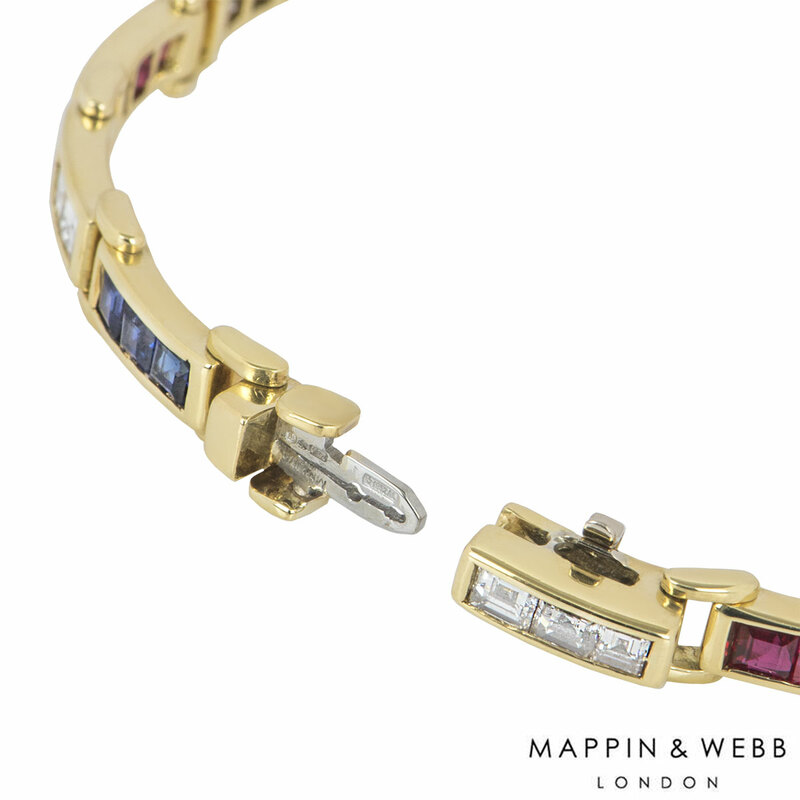 The bracelet comes complete with a Mappin & Webb presentation box and our own certificate of authenticity.